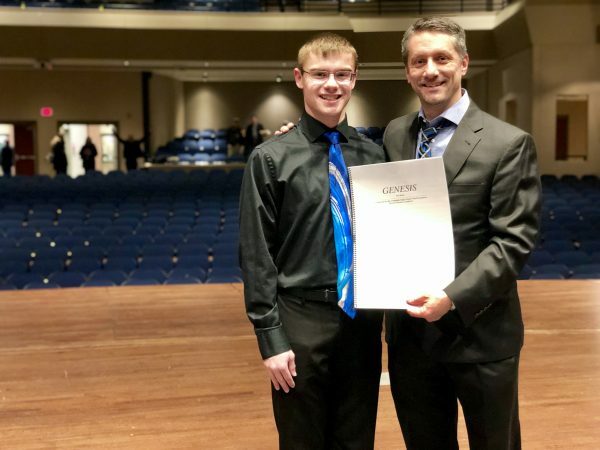 Urbandale junior, Peter Schumacher unveiled the world premier of his new musical composition for band, Genesis, which was performed by the UHS Wind Symphony on Tuesday, March 5, 2019 in the UHS PAC. This concert will feature all three UHS concert bands. Call time for students is 6:20 p.m. for a 6:30 p.m. warm-up. Invite your friends and family. See you there! On February 16, 2019, Urbandale High School Instrumental Music Department entered 112 events into the Perry Band Olympics Solo & Small Ensemble Contest.